The Lake County, Ohio Domestic Relations Court (“Lake County DR Court”) is committed to protecting your privacy and developing technology that gives you the most powerful and safe online experience. This Statement of Privacy applies to the Lake County DR Court Web site and governs data collection and usage. By using the Lake County DR Court website, you consent to the data practices described in this statement. Lake County DR Court collects personally identifiable information, such as your e-mail address, name, home or work address or telephone number. Lake County DR Court also collects anonymous demographic information, which is not unique to you, such as your ZIP code, age, gender, preferences, interests and favorites. There is also information about your computer hardware and software that is automatically collected by Lake County DR Court. This information can include: your IP address, browser type, domain names, access times and referring Web site addresses. 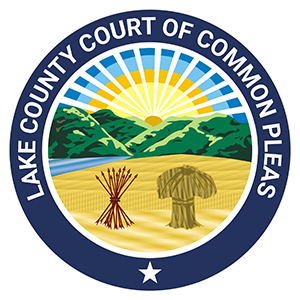 This information is used by Lake County DR Court for the operation of the service, to maintain quality of the service, and to provide general statistics regarding use of the Lake County DR Court Web site. Please keep in mind that if you directly disclose personally identifiable information or personally sensitive data through Lake County DR Court public message boards, this information may be collected and used by others. Note: Lake County DR Court does not read any of your private online communications. Lake County DR Court encourages you to review the privacy statements of Web sites you choose to link to from Lake County DR Court so that you can understand how those Web sites collect, use, and share your information. Lake County DR Court is not responsible for the privacy statements or other content on Web sites outside of the Lake County DR Court and Lake County DR Court family of Web sites. Lake County DR Court collects and uses your personal information to operate the Lake County DR Court Web site and deliver the services you have requested. Lake County DR Court also uses your personally identifiable information to inform you of other products or services available from Lake County DR Court and its affiliates. Lake County DR Court may also contact you via surveys to conduct research about your opinion of current services or of potential new services that may be offered. Lake County DR Court does not sell, rent, or lease its customer lists to third parties. Lake County DR Court may, from time to time, contact you on behalf of external business partners about a particular offering that may be of interest to you. In those cases, your unique personally identifiable information (e-mail, name, address, telephone number) is not transferred to the third party. In addition, Lake County DR Court may share data with trusted partners to help us perform statistical analysis, send you email or postal mail, provide customer support, or arrange for deliveries. All such third parties are prohibited from using your personal information except to provide these services to Lake County DR Court, and they are required to maintain the confidentiality of your information. Lake County DR Court does not use or disclose sensitive personal information, such as race, religion, or political affiliations, without your explicit consent. Lake County DR Court keeps track of the Web sites and pages our customers visit within Lake County DR Court in order to determine what Lake County DR Court services are the most popular. This data is used to deliver customized content and advertising within Lake County DR Court to customers whose behavior indicates that they are interested in a particular subject area. Lake County DR Court Web sites will disclose your personal information, without notice, only if required to do so by law or in the good faith belief that such action is necessary to: (a) conform to the edicts of the law or comply with legal process served on Lake County DR Court or the site; (b) protect and defend the rights or property of Lake County DR Court; and, (c) act under exigent circumstances to protect the personal safety of users of Lake County DR Court, or the public. The Lake County DR Court Web site use “cookies” to help you personalize your online experience. A cookie is a text file that is placed on your hard disk by a Web page server. Cookies cannot be used to run programs or deliver viruses to your computer. Cookies are uniquely assigned to you, and can only be read by a web server in the domain that issued the cookie to you. One of the primary purposes of cookies is to provide a convenience feature to save you time. The purpose of a cookie is to tell the Web server that you have returned to a specific page. For example, if you personalize Lake County DR Court pages, or register with the Lake County DR Court site or services, a cookie helps Lake County DR Court to recall your specific information on subsequent visits. This simplifies the process of recording your personal information, such as billing addresses, shipping addresses, and so on. When you return to the same Lake County DR Court Web site, the information you previously provided can be retrieved, so you can easily use the Lake County DR Court features that you customized. You have the ability to accept or decline cookies. Most Web browsers automatically accept cookies, but you can usually modify your browser setting to decline cookies if you prefer. If you choose to decline cookies, you may not be able to fully experience the interactive features of the Lake County DR Court services or Web sites you visit. Lake County DR Court secures your personal information from unauthorized access, use or disclosure. Lake County DR Court secures the personally identifiable information you provide on computer servers in a controlled, secure environment, protected from unauthorized access, use, or disclosure. When personal information (such as a credit card number) is transmitted to other Web sites, it is protected through the use of encryption, such as the Secure Socket Layer (SSL) protocol. 5. Changes to this Statement. Lake County DR Court will occasionally update this Statement of Privacy to reflect company and customer feedback. Lake County DR Court encourages you to periodically review this Statement to be informed of how Lake County DR Court is protecting your information. Lake County DR Court welcomes your comments regarding this Statement of Privacy. If you believe that Lake County DR Court has not adhered to this Statement, please contact Lake County DR Court at mturc@lakecountyohio.gov. We will use commercially reasonable efforts to promptly determine and remedy the problem. “Account” refers to the billing account for the Service. All Profiles linked to a single Property will have their Hits aggregated before determining the charge for the Service for that Property. “Customer Data” or “Google Analytics Data” means the data you collect, process or store using the Service concerning the characteristics and activities of Visitors. “Documentation” means any accompanying documentation made available to You by Google for use with the Processing Software, including any documentation available online. “GATC” means the Google Analytics Tracking Code, which is installed on a Property for the purpose of collecting Customer Data, together with any fixes, updates and upgrades provided to You. “Processing Software” means the Google Analytics server-side software and any upgrades, which analyzes the Customer Data and generates the Reports. “Profile” means the collection of settings that together determine the information to be included in, or excluded from, a particular Report. For example, a Profile could be established to view a small portion of a web site as a unique Report. There can be multiple Profiles established under a single Property. “Property” means any web page, app, or other property under Your control that sends data to Google Analytics. Each Property includes a default Profile that measures all pages within the Property. “Report” means the resulting analysis shown at www.google.com/analytics/ for a Profile. “Servers” means the servers controlled by Google (or its wholly owned subsidiaries) on which the Processing Software and Customer Data are stored. “Software” means the GATC and the Processing Software. Subject to Section 15, the Service is provided without charge to You for up to 10 million Hits per month per account. Google may change its fees and payment policies for the Service from time to time including the addition of costs for geographic data, the importing of cost data from search engines, or other fees charged to Google or its wholly-owned subsidiaries by third party vendors for the inclusion of data in the Service reports. The changes to the fees or payment policies are effective upon Your acceptance of those changes which will be posted at www.google.com/analytics/. Unless otherwise stated, all fees are quoted in U.S. Dollars. Any outstanding balance becomes immediately due and payable upon termination of this Agreement and any collection expenses (including attorneys’ fees) incurred by Google will be included in the amount owed, and may be charged to the credit card or other billing mechanism associated with Your AdWords account. To register for the Service, You must complete the registration process by providing Google with current, complete and accurate information as prompted by the registration form, including Your e-mail address (username) and password. You will protect Your passwords and take full responsibility for Your own, and third party, use of Your accounts. You are solely responsible for any and all activities that occur under Your Account. You will notify Google immediately upon learning of any unauthorized use of Your Account or any other breach of security. Google’s (or its wholly-owned subsidiaries’) support staff may, from time to time, log in to the Service under Your customer password in order to maintain or improve service, including to provide You assistance with technical or billing issues. Subject to the terms and conditions of this Agreement, (a) Google grants You a limited, revocable, non-exclusive, non-sublicensable license to install, copy and use the GATC solely as necessary for You to use the Service on Your Properties or Third Party’s Properties; and (b) You may remotely access, view and download Your Reports stored at www.google.com/analytics/. You will not (and You will not allow any third party to) (i) copy, modify, adapt, translate or otherwise create derivative works of the Software or the Documentation; (ii) reverse engineer, decompile, disassemble or otherwise attempt to discover the source code of the Software, except as expressly permitted by the law in effect in the jurisdiction in which You are located; (iii) rent, lease, sell, assign or otherwise transfer rights in or to the Software, the Documentation or the Service; (iv) remove any proprietary notices or labels on the Software or placed by the Service; (v) use, post, transmit or introduce any device, software or routine which interferes or attempts to interfere with the operation of the Service or the Software; or (vi) use data labeled as belonging to a third party in the Service for purposes other than generating, viewing, and downloading Reports. You will comply with all applicable laws and regulations in Your use of and access to the Documentation, Software, Service and Reports. You may participate in an integrated version of Google Analytics and certain DoubleClick and Google advertising services (“Google Analytics Advertising Features”). If You use Google Analytics Advertising Features, You will adhere to the Google Analytics Advertising Features policy (available at support.google.com/analytics/bin/answer.py?hl=en&topic=2611283&answer=2700409) Your access to and use of any DoubleClick or Google advertising service is subject to the applicable terms between You and Google regarding that service. If You use the GA 360 Suite Home, Your use of the GA 360 Suite Home is governed by the Google Analytics 360 Suite Home Terms of Services (or as subsequently re-named) available at https://360suite.google.com/terms (or such other URL as Google may provide) as modified from time to time (the “Suite Home Terms”), but subject to Section 2 of the Suite Home Terms, use of the Service will continue to be governed by this Agreement. To the extent permitted by applicable law, You will indemnify, hold harmless and defend Google and its wholly owned subsidiaries, at Your expense, from any and all third-party claims, actions, proceedings, and suits brought against Google or any of its officers, directors, employees, agents or affiliates, and all related liabilities, damages, settlements, penalties, fines, costs or expenses (including, reasonable attorneys’ fees and other litigation expenses) incurred by Google or any of its officers, directors, employees, agents or affiliates, arising out of or relating to (i) Your breach of any term or condition of this Agreement, (ii) Your use of the Service, (iii) Your violations of applicable laws, rules or regulations in connection with the Service, (iv) any representations and warranties made by You concerning any aspect of the Service, the Software or Reports to any Third Party; (v) any claims made by or on behalf of any Third Party pertaining directly or indirectly to Your use of the Service, the Software or Reports; (vi) violations of Your obligations of privacy to any Third Party; and (vii) any claims with respect to acts or omissions of any Third Party in connection with the Service, the Software or Reports. Google will provide You with written notice of any claim, suit or action from which You must indemnify Google. You will cooperate as fully as reasonably required in the defense of any claim. Google reserves the right, at its own expense, to assume the exclusive defense and control of any matter subject to indemnification by You. If You use the Service on behalf of the Third Party or a Third Party otherwise uses the Service through Your Account, whether or not You are authorized by Google to do so, then You represent and warrant that (a) You are authorized to act on behalf of, and bind to this Agreement, the Third Party to all obligations that You have under this Agreement, (b) Google may share with the Third Party any Customer Data that is specific to the Third Party’s Properties, and (c) You will not disclose Third Party’s Customer Data to any other party without the Third Party’s consent. TO THE EXTENT PERMITTED BY APPLICABLE LAW, GOOGLE WILL NOT BE LIABLE FOR YOUR LOST REVENUES OR INDIRECT, SPECIAL, INCIDENTAL, CONSEQUENTIAL, EXEMPLARY, OR PUNITIVE DAMAGES, EVEN IF GOOGLE OR ITS SUBSIDIARIES AND AFFILIATES HAVE BEEN ADVISED OF, KNEW OR SHOULD HAVE KNOWN THAT SUCH DAMAGES WERE POSSIBLE AND EVEN IF DIRECT DAMAGES DO NOT SATISFY A REMEDY. GOOGLE’S (AND ITS WHOLLY OWNED SUBSIDIARIES’ TOTAL CUMULATIVE LIABILITY TO YOU OR ANY OTHER PARTY FOR ANY LOSS OR DAMAGES RESULTING FROM CLAIMS, DEMANDS, OR ACTIONS ARISING OUT OF OR RELATING TO THIS AGREEMENT WILL NOT EXCEED $500 (USD). The Service, which includes the Software and all Intellectual Property Rights therein are, and will remain, the property of Google (and its wholly owned subsidiaries). All rights in and to the Software not expressly granted to You in this Agreement are reserved and retained by Google and its licensors without restriction, including, Google’s (and its wholly owned subsidiaries’) right to sole ownership of the Software and Documentation. Without limiting the generality of the foregoing, You agree not to (and not to allow any third party to): (a) sublicense, distribute, or use the Service or Software outside of the scope of the license granted in this Agreement; (b) copy, modify, adapt, translate, prepare derivative works from, reverse engineer, disassemble, or decompile the Software or otherwise attempt to discover any source code or trade secrets related to the Service; (c) rent, lease, sell, assign or otherwise transfer rights in or to the Software or the Service; (d) use, post, transmit or introduce any device, software or routine which interferes or attempts to interfere with the operation of the Service or the Software; (e) use the trademarks, trade names, service marks, logos, domain names and other distinctive brand features or any copyright or other proprietary rights associated with the Service for any purpose without the express written consent of Google; (f) register, attempt to register, or assist anyone else to register any trademark, trade name, serve marks, logos, domain names and other distinctive brand features, copyright or other proprietary rights associated with Google (or its wholly owned subsidiaries) other than in the name of Google (or its wholly owned subsidiaries, as the case may be); (g) remove, obscure, or alter any notice of copyright, trademark, or other proprietary right appearing in or on any item included with the Service; or (h) seek, in a proceeding filed during the term of this Agreement or for one year after such term, an injunction of any portion of the Service based on patent infringement. Google will be excused from performance in this Agreement to the extent that performance is prevented, delayed or obstructed by causes beyond its reasonable control. This Agreement (including any amendment agreed upon by the parties in writing) represents the complete agreement between You and Google concerning its subject matter, and supersedes all prior agreements and representations between the parties. If any provision of this Agreement is held to be unenforceable for any reason, such provision will be reformed to the extent necessary to make it enforceable to the maximum extent permissible so as to effect the intent of the parties, and the remainder of this Agreement will continue in full force and effect. This Agreement will be governed by and construed under the laws of the state of California without reference to its conflict of law principles. In the event of any conflicts between foreign law, rules, and regulations, and California law, rules, and regulations, California law, rules and regulations will prevail and govern. Each party agrees to submit to the exclusive and personal jurisdiction of the courts located in Santa Clara County, California. The United Nations Convention on Contracts for the International Sale of Goods and the Uniform Computer Information Transactions Act do not apply to this Agreement. The Software is controlled by U.S. Export Regulations, and it may be not be exported to or used by embargoed countries or individuals. Any notices to Google must be sent to: Google Inc., 1600 Amphitheatre Parkway, Mountain View, CA 94043, USA, with a copy to Legal Department, via first class or air mail or overnight courier, and are deemed given upon receipt. A waiver of any default is not a waiver of any subsequent default. You may not assign or otherwise transfer any of Your rights in this Agreement without Google’s prior written consent, and any such attempt is void. The relationship between Google and You is not one of a legal partnership relationship, but is one of independent contractors. This Agreement will be binding upon and inure to the benefit of the respective successors and assigns of the parties hereto. The following sections of this Agreement will survive any termination thereof: 1, 4, 5, 6 (except the last two sentences), 7, 8, 9, 10, 11, 12, 14, and 16.